Senator Cory Booker is lending a hand to a Democratic candidate for county supervisor in Iowa. Booker recorded a minute-long endorsement video for Royceann Porter, a Teamsters organizer and community leader who’s running in the special election for a Johnson County supervisor seat. If elected, Porter would be the first person of color elected to a countywide office in Johnson County. Porter, 52, is running for the seat that Kurt Friese used to hold before he passed away in October. A union organizer, Porter has promised to focus on affordable housing and a living wage if she’s elected. Republicans have nominated Phil Hemingway, who was just on the ballot for supervisor in November, when he lost to Pat Heiden and Janelle Rettig. Johnson County is the most heavily-Democratic county in the state, though Republicans occasionally make it through in local elections. This latest effort by Booker continues his support for local Iowa Democratic candidates. Although Booker only made one trip to Iowa during the 2018 cycle, he was quietly very helpful behind the scenes. He helped place a couple of experienced staffers from his network on key legislative and statewide races, and many of his top donors contributed to Iowa Democratic candidates. 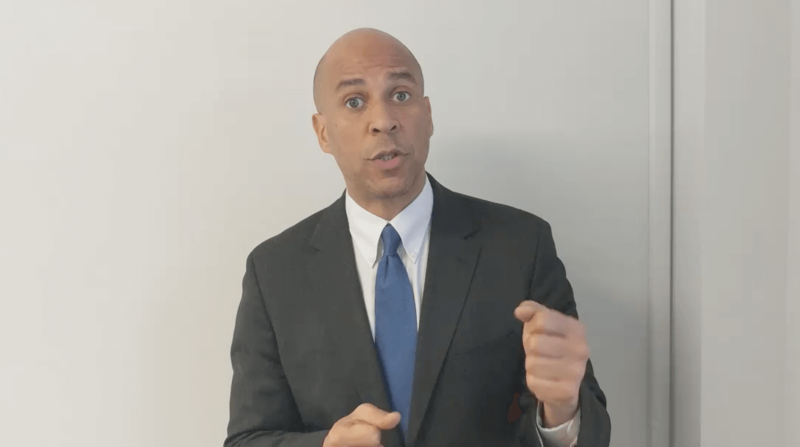 Booker has also been one of the most active potential 2020 candidates in reaching out to Iowa activists and potential staff over the past month. He called to congratulate many different legislative candidates the night or day after the election. Were he to run for president, Booker also has a large contingent of extended family members who live in the state.